The Museum’s Dickinson Research Center is home to more than 700,000 photographs, 44,000 books, and perhaps unexpectedly, at least 1,000 horses. Meet some of the herd in Horseplay, the new exhibition featuring Tom Lovell’s sketches and studies of this Western icon. The rarely seen prep work reveals how Lovell developed ideas and practiced movement, anatomy, proportion, and personality. 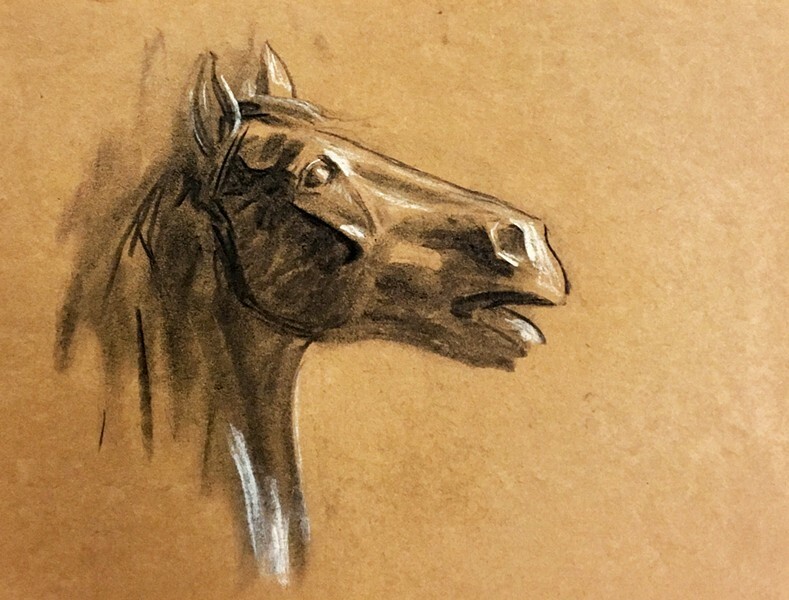 Watch horses take shape across mediums and styles. From abstract to realistic, pencil to pastel, small-scale to large, no two are alike.